Convert PDF to Word Excel Text in batch - iCareAll PDF Converter,Change pdf less than 5 pages for free to word excel text ppt txt and more format in batch with pdf converter software. iCareAll provides a list of useful tools for computer data recovery, pdf file format converting and more. 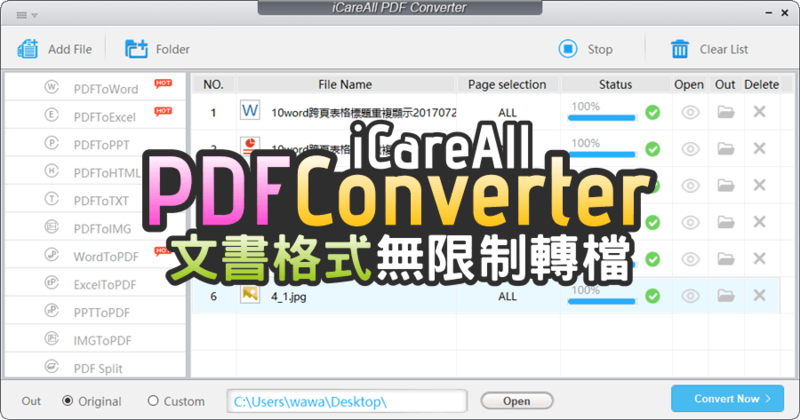 Overview of iCareAll PDF Converter and guide you to use the PDF conver tool.